Flipboard was the first killer app for the iPad — a beautiful new way to read content from across the web, without worrying about RSS feeds. It was an early innovator at leveraging social networks for personalization. And it just might be the canary in the coal mine in a number of ways. While Facebook gets mired in a debate around its use of human curators, and again deeper in its use of algorithmic curation, Flipboard had already gotten us familiar with both — and without the backlash. It’s been awhile since one finds a completely irrelevant article, and it’s learned what sources you read, the topics you’re interested in, the amount of time you’re reading — nearly everything that optimizes a discovery and personalization system. 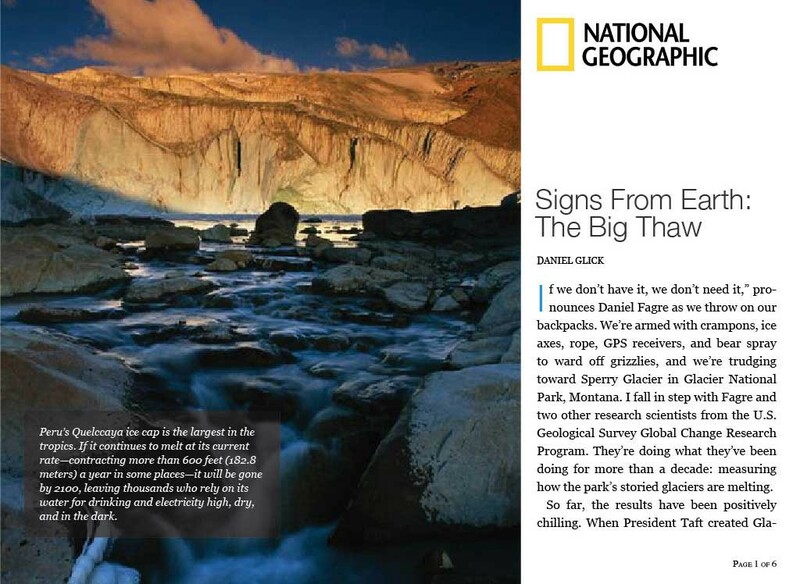 Flipboard’s native National Geographic experience, putting up the wall one brick at a time. To accomplish this, we were lead through the gates of their walled garden. Don’t be afraid, they’re pretty good gardeners. Early Flipboard users remember a time when a decent amount of content wouldn’t render well. Limitations with the IOS browser, content crawling and classification, and inherent hardware problems presented some downright ugly content and application crashes. To drive a more consistent user experience, Flipboard introduced a few features that sound familiar in today’s world of OpenGraph tags, Instant Articles, Twitter Cards, and Pinterest optimization: custom Flipboard CSS tags and a content partnering platform with select publishers — to beautify and provide a native experience to users. Flipboard became a platform. It also gave them their first ad monetization opportunities. Walled gardens aren’t usually made with bad intentions. Most people are just happy to see the foliage. It tends to rankle the open web purists though, and certainly gives engineers a lot more to consider. What if web standards are behind? What if users don’t actually care about a standards-compliant, utopian free web, and just want to see their content? Then there are the paywalled gardens, like the Wall Street Journal and The New York Times. While germinated from a more protectionist point of view, they’re fighting for survival. Users don’t want to see ads, but they want content for free. Open Web enthusiasts seem happy with simple RSS readers and ignore the window dressing that content creators have the right to be viewed. Flipboard remains one of the only platforms purely dedicated to aggregated content discovery and consumption, with Apple News taking their playbook since IOS9. In this game, the platform with the most eyeballs and the best relationships with publishers will win. And this is where Flipboard may be an early warning system. We’ve seen a number of other “newsreader” tools fall by the wayside and be shut down, already. If Flipboard loses this battle, it isn’t because of their approach to personalization — it worked, and social data had one of its first proof of concepts (and corrections: Flipboard was smart enough to ask its users about their interests, too). It isn’t because of their deals with publishers — that was survival, good business sense, and a model Facebook and Apple adopted. But its peer-to-peer social features and curated magazines, perhaps its only unique features against Apple (with Nuzzelon its heels), aren’t essential to the experience. Apple has won these arms wars in the past through shrewd licensing. Ironically, Open Web concepts may be the saving grace that keeps Flipboard in the game. Facebook is betting users will only care about the news as a passing interest amongst their friends, with Twitter focused on breaking the news, not just sharing it. LinkedIn thinks it’s part of an authored thought leadership forum. Apple will integrate it tighter with iMessage, but gave us the “just the facts, ma’m” version. If anyone dies in this mine, it’s not because there’s gas poisoning, it’s because there just isn’t enough clean air to breath. The users will read pretty, relevant content wherever and however it appears. The more seamless, the better.